The first group of Volga German immigrants arriving in Portland from Russia had no background or experience with organized sports. 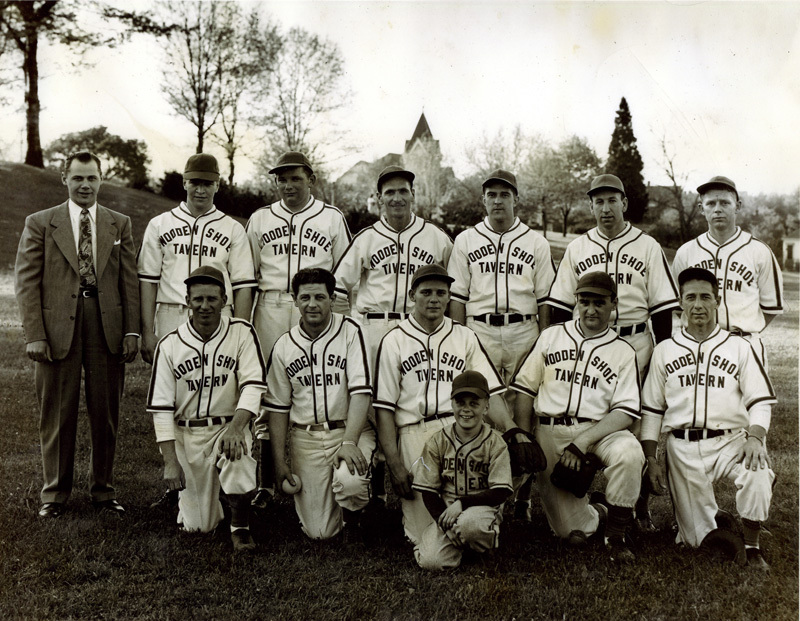 The following generations born in the Portland area soon became involved and found success in a wide variety of athletic activities. 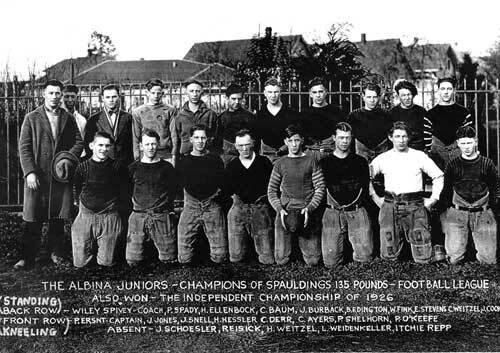 The list below includes successful athletes from the Portland area with Volga German ancestry. Click on the links below for a brief profile of each individual. Please contact us if you have information about the individuals listed above or if you have additional athletes to recognize. 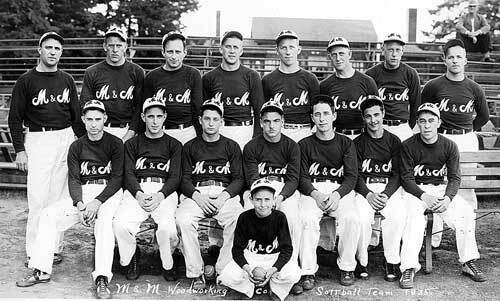 The M & M Woodworking Co. softball team of 1935. Front row, second from the left, is Fred Smith (Schmidt). Photograph courtesy of Steve Schreiber. The Wooden Shoe Tavern softball team. This photograph was taken in Irving Park with the Zion German Congregational Church appearing in the background. Front row, far right is Sammy Aschenbrenner. Front row, second from the right is Ed Miller. Front row, second from the left is Solly Hergert. Front row, far left is possibly Benny Miller. Back row, far left is Heinie Miller. 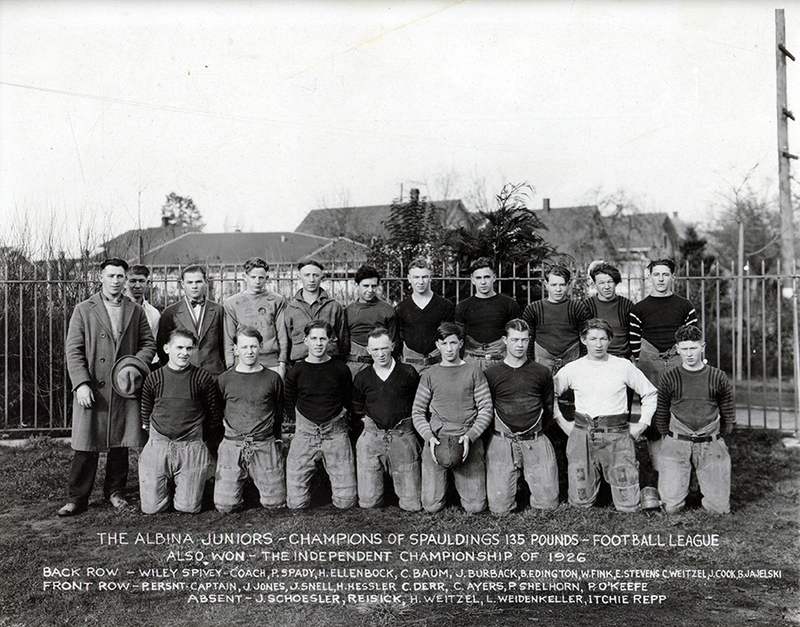 The Albina Juniors championship football team of 1926. Many of the players have Volga German ancestry. Photograph courtesy of Roy Conrad Derring. 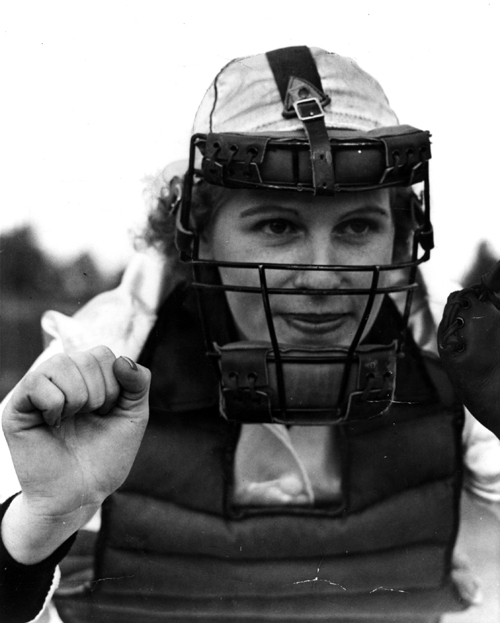 Esther Smith (Schmidt) in her softball uniform and catcher's mask. Esther played catcher for the Laundry and Cleaners Local team that won the 1940 City of Portland Women's A-League Softball Championship. Photograph courtesy of Steve Schreiber. Article from "The Sunday Oregonian", June 30, 1940, page 4.